Having been asked earlier this week, just when the likes of NES titles such as Metroid, Might Bomb Jack and TwinBee will become available this month, an answer has now arrived. 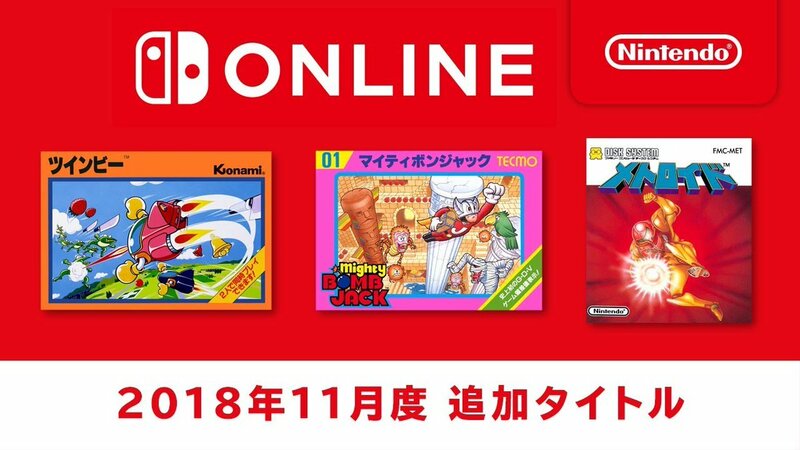 In a new video by Nintendo, the 3 NES titles are to join the Nintendo Entertainment System – Nintendo Switch Online line-up of games on November 14 and when we say November 14, this applies to North America, Europe and Japan. Any game in particular you’re looking forward to? Is there any game you’re hoping will get an SP instalment this time around? Let us know!